^ John L. Esposito, ed. (2009). "Preface". The Oxford Encyclopedia of the Islamic World. Oxford: Oxford University Press. doi:10.1093/acref/9780195305135.001.0001/acref-9780195305135-div1-15 (inactive 8 September 2018). 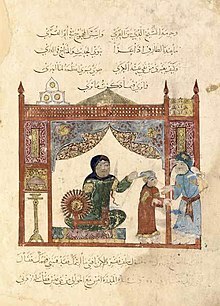 The Oxford Encyclopedia of the Islamic World (OEIW) deals with all aspects of Islam—the world's second largest and fastest-growing religion—and the societies in which it exists, including their religion, politics, economics, everyday life, culture, and thought. ^ Islamic Radicalism and Multicultural Politics. Taylor & Francis. 1 March 2011. p. 9. ISBN 978-1-136-95960-8. Retrieved 26 August 2012. ^ Chaney, Eric (24 October 2007). "Economic Development, Religious Competition, and the Rise and Fall of Muslim Science" (PDF). eml.berkeley.edu. Retrieved 3 August 2016. ^ "Islamic world faces intellectual stagnation". Nationmultimedia.com. Archived from the original on 28 August 2013. Retrieved 18 August 2014.